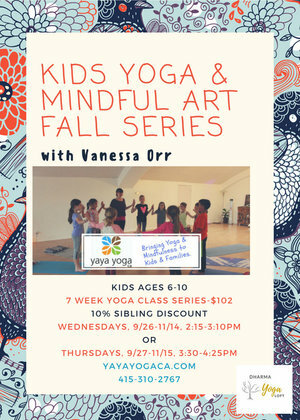 New kids yoga classes are coming to Paso Robles this fall with Yaya Yoga ca led by the lovely Vanessa Orr. 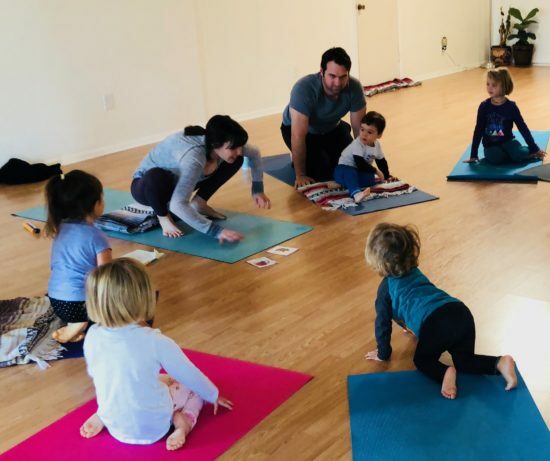 In Family Yoga, Vanessa teaches toddlers and preschoolers the perfect mix of movement, play and mindfulness from a yoga mat. 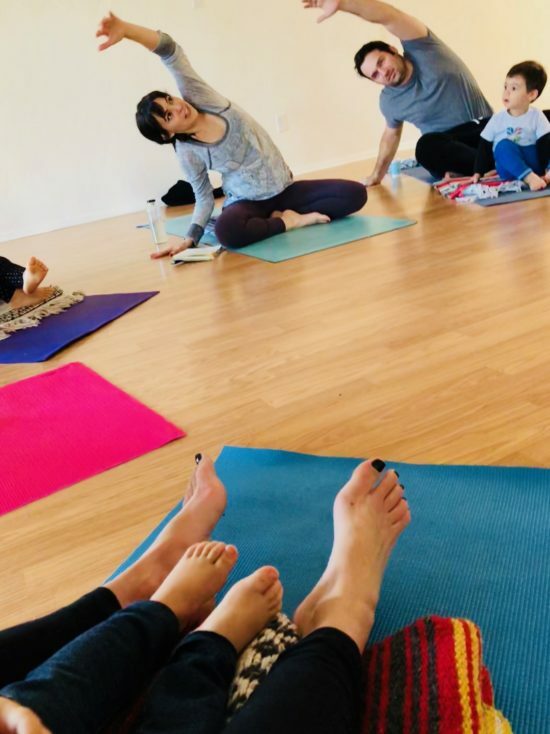 Parents also participate in this class. 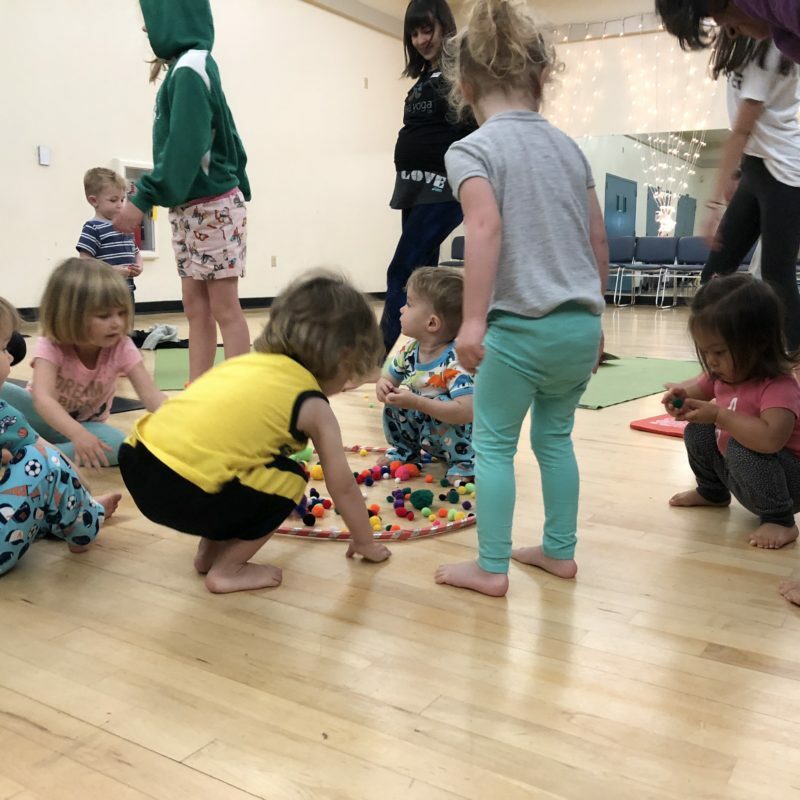 In fact, we’ve taken three of her Family classes and have enjoyed them all! This was before Vanessa took her maternity leave earlier this summer. And now she’s back and ready to get those kiddos movin’ again! 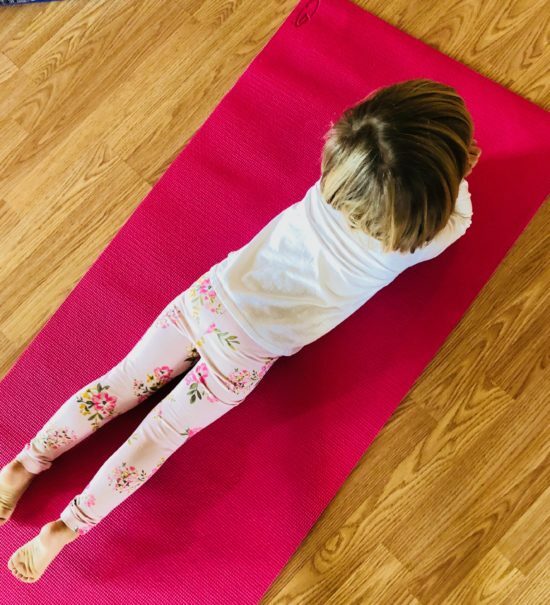 You can find her latest schedule of classes online now. 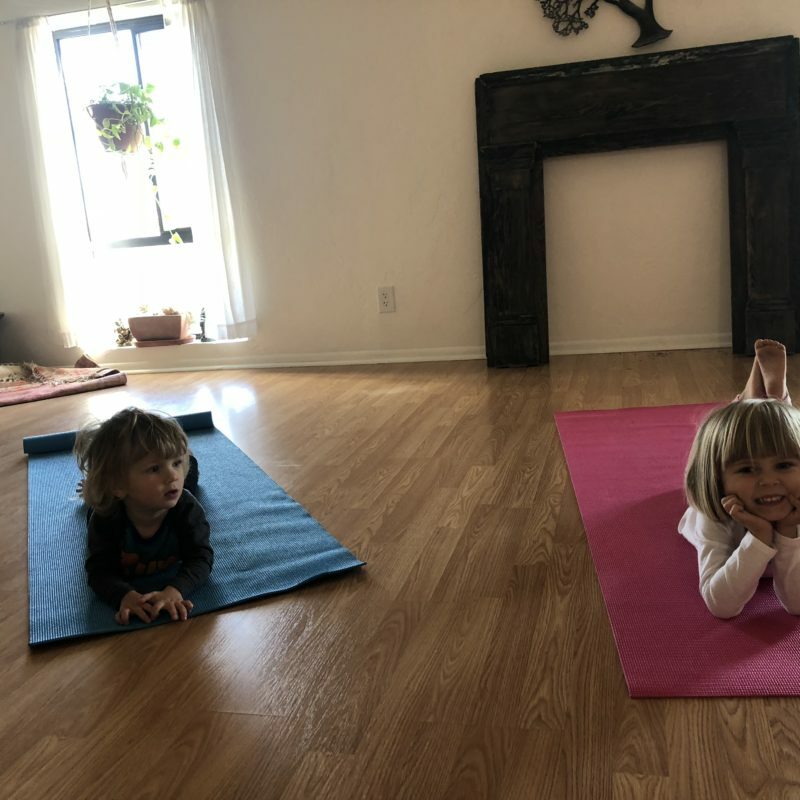 I haven’t tried these other series, but she also teaches Kids Yoga for ages 6 -10 and Baby Yoga for babies 4 to 12 months (pre-walking). There’s also opportunities to sign up for a free trial class in your series, too! Disclaimer: Vanessa is a great teacher AND she’s also become a good friend of ours! 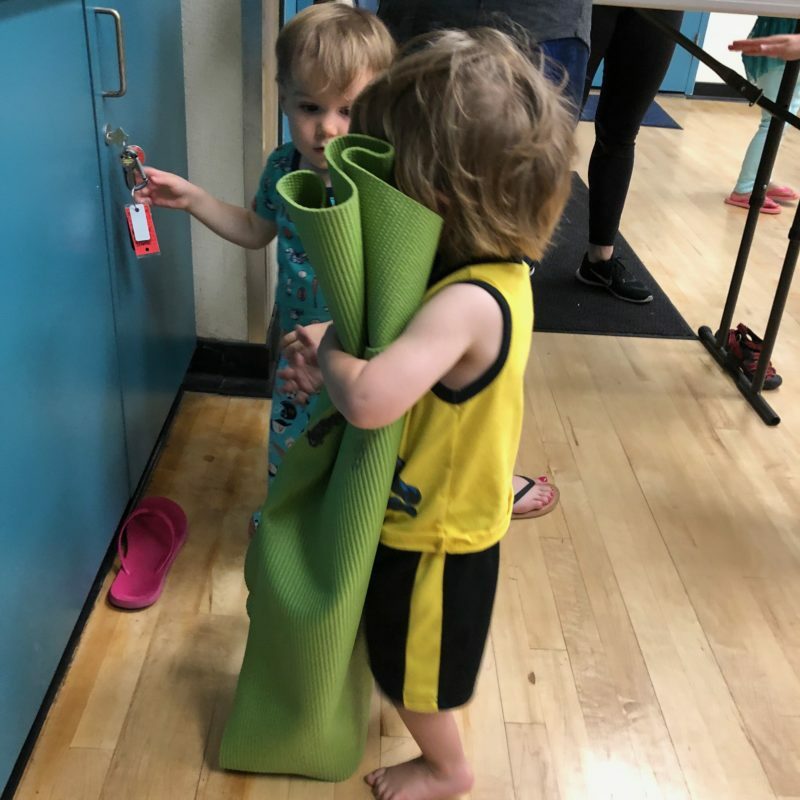 Our kids have done playdates and taken swim lessons together. She and her family recently moved here from San Francisco and I’ve genuinely enjoyed getting to know them! In this one, we sing a song and stomp around like dinos. Which my kids love! If I ever find my lost video of it, I’ll make sure to post it and let you know! Reading a book for some group story time, then pretending to be certain animals in the book through movements. My kids are big fans of bringing this move home and I’m often finding them upside down in their bedrooms lol. 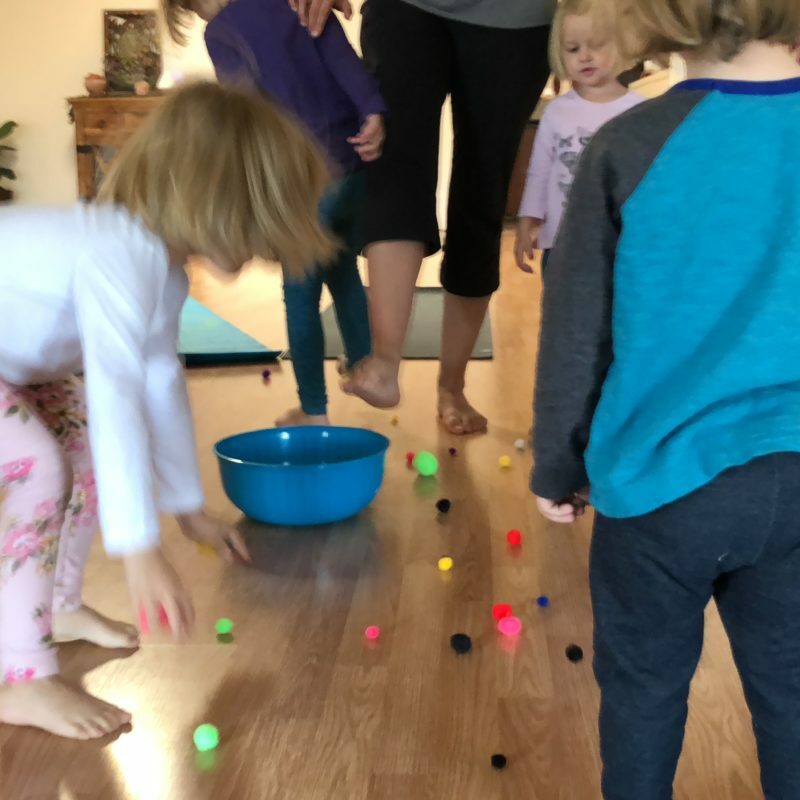 This one is a really great activity that would be easy to copy at home by grabbing some pom pom balls, a bowl and blasting your fave song on Alexa. 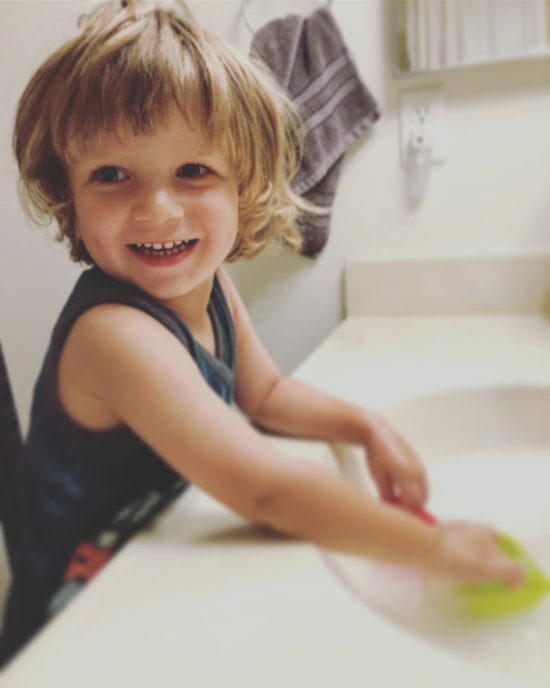 Wildman Wyatt’s class style is to run around, survey the scene, run back to me, run out the door, run back … basically, he keeps me moving – lol. 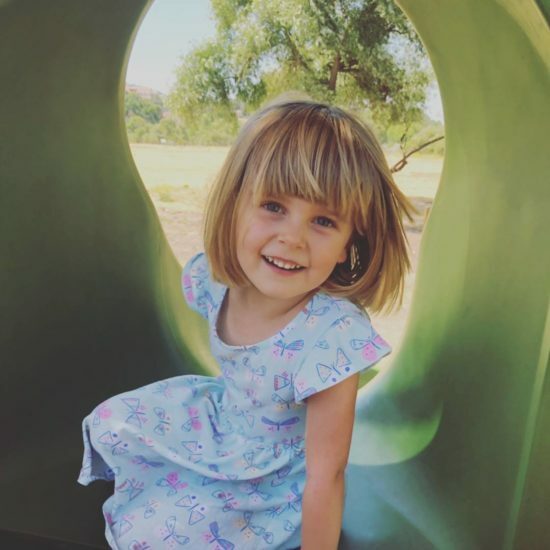 But to be real, this makes it hard to take Wyatt to classes with Clara because it almost always leaves me ditching Clara to run after her brother. Not only is it physically exhausting, but it usually has me feeling embarrassed like I can’t control my child. But, you know, all that’s just in my head. 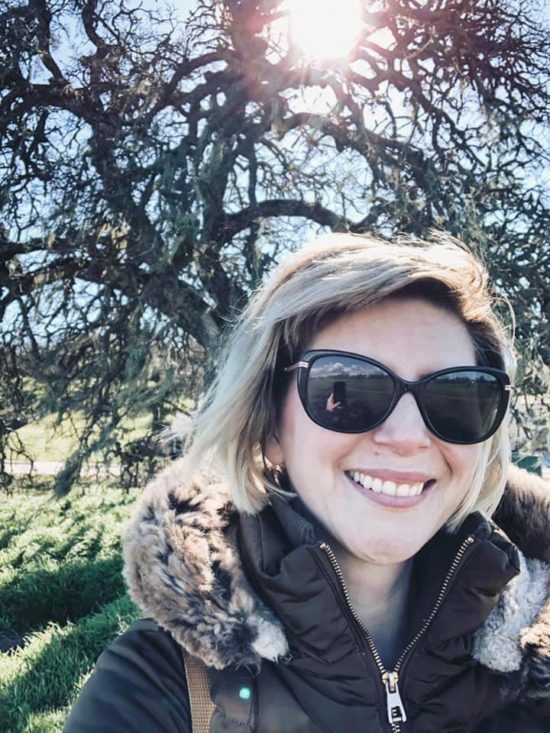 The reality is, Vanessa changed that internal #momguilt dialogue for me. She’s so calm and nice and really has this welcoming way about her. She’s also a mom, so she gets it. 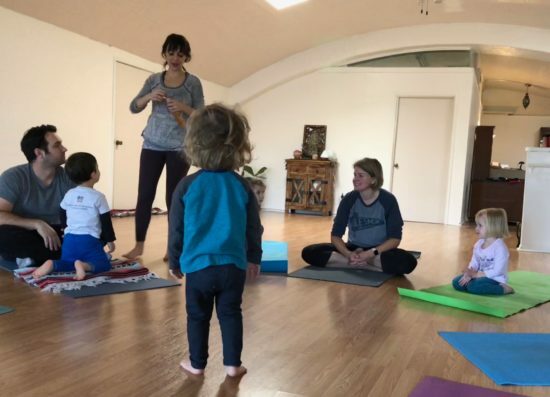 As a yoga teacher, she’s open to all types of learning styles and makes a point to say in the beginning of class that every child approaches class differently — and that’s OK. 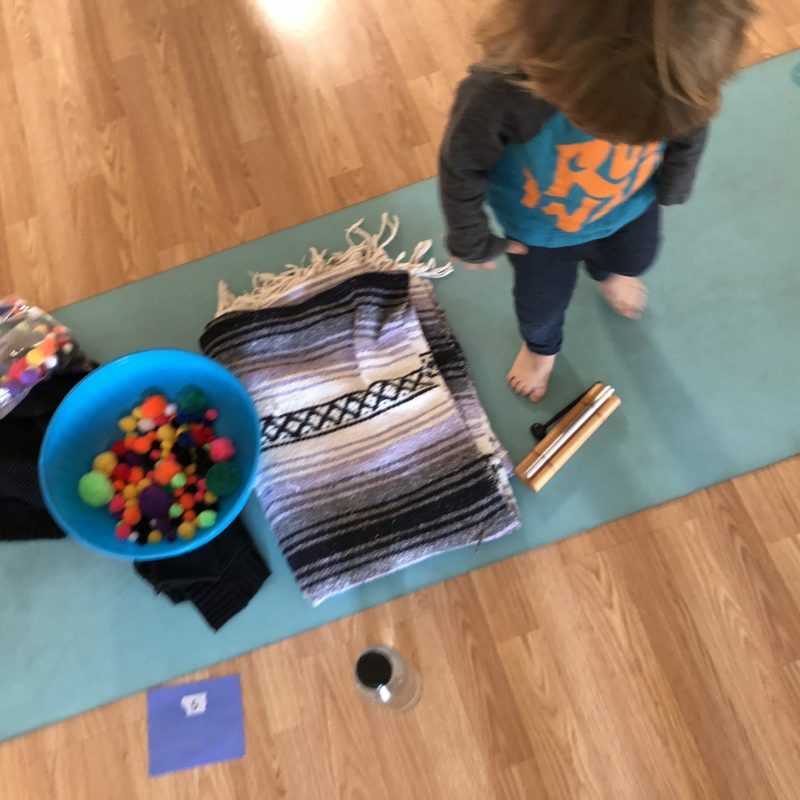 Her reminder that parent participants shouldn’t feel like their kid should be acting one way or another during the lesson is comforting, again setting the scene for some good yoga vibes. 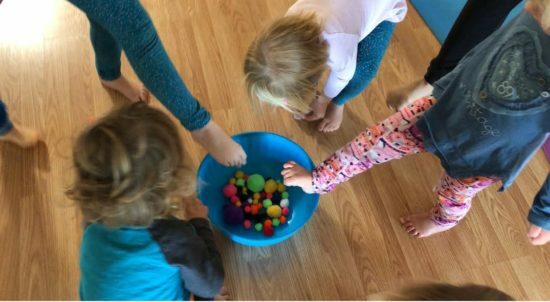 Clara, meanwhile, approaches classes full boar — following all the instructions and throughly enjoying the activity from beginning to end. 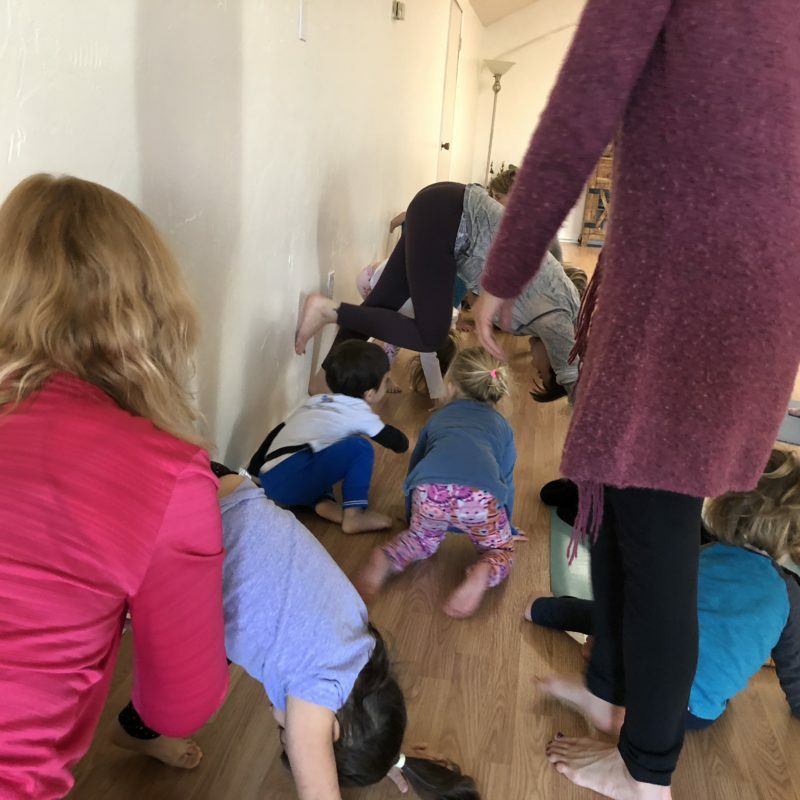 She’s proud of herself for doing all the moves and likes to do them at home, too – like laying on the floor and walking up a wall. 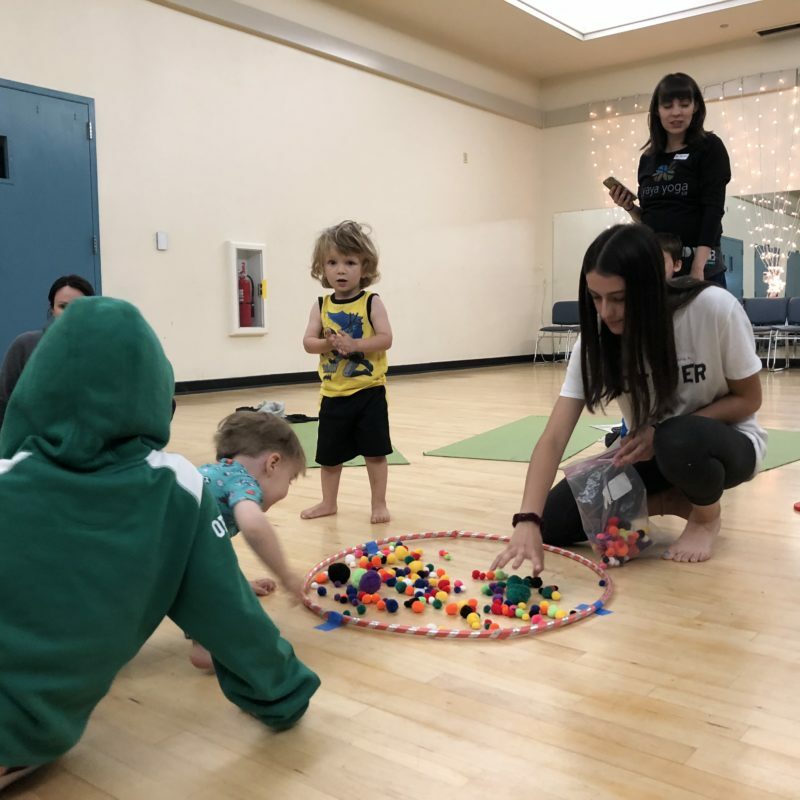 Two of the classes we took were through the City of Paso Robles’ Recreations Services Department, which you can sign up for classes here (then just search “Yaya Yoga” to find her classes). 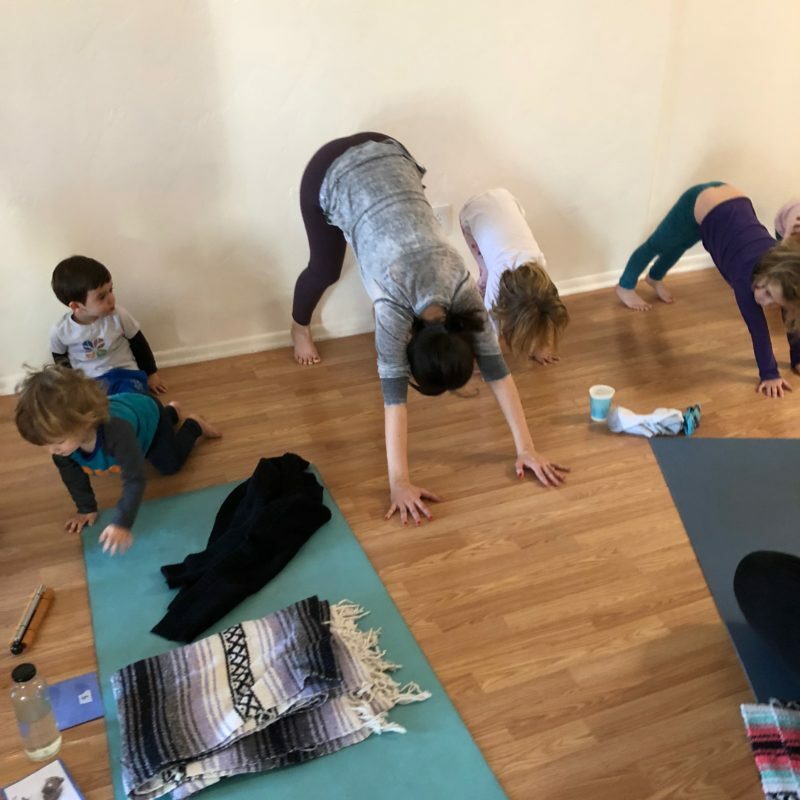 The other class we attended was the Family Yoga Winter Workshop, Ages 2-5 at Dharma Yoga Loft in Downtown Paso Robles. Overlooking Spring Street, this place is kinda hard to find but its semi-secret staircase above an antiques mall makes the studio feel all the more like a mystical secret getaway, only adding to its charm. 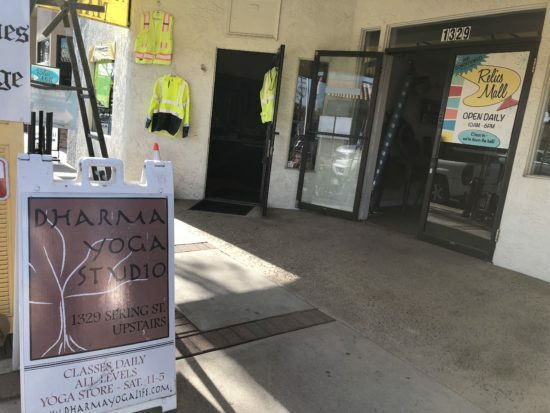 Dharma Yoga Loft is at 1329 Spring St., in Paso Robles, CA 93446. Here’s a look at some of Vanessa’s other classes. And you can find the full schedule for these series and others on her website. She’s also on Facebook and Instagram! We love you guys! Thank you so much for this awesome review! 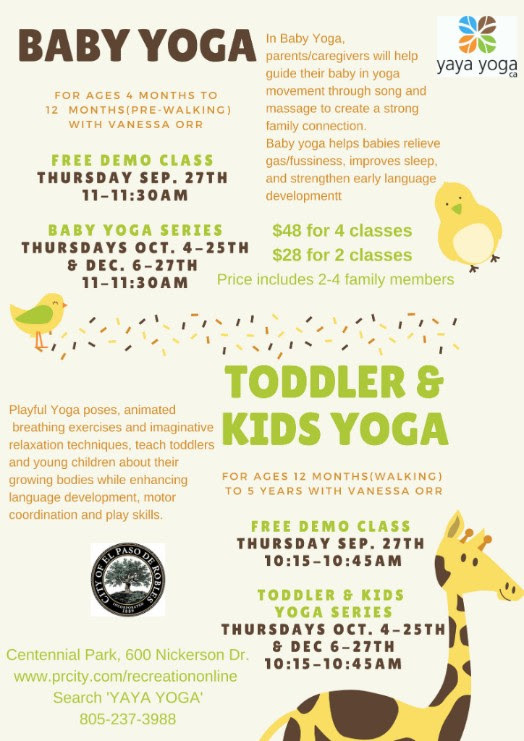 We are looking forward to a fun fall of yoga classes! Our pleasure!! Can’t wait to see what you have planned!